Kick Drum Bass Drum NI Massive / WAV is exactly what we are giving you but in many different flavors and for just about every genre. Not only are there 278 kick samples there are also 34 N.I. 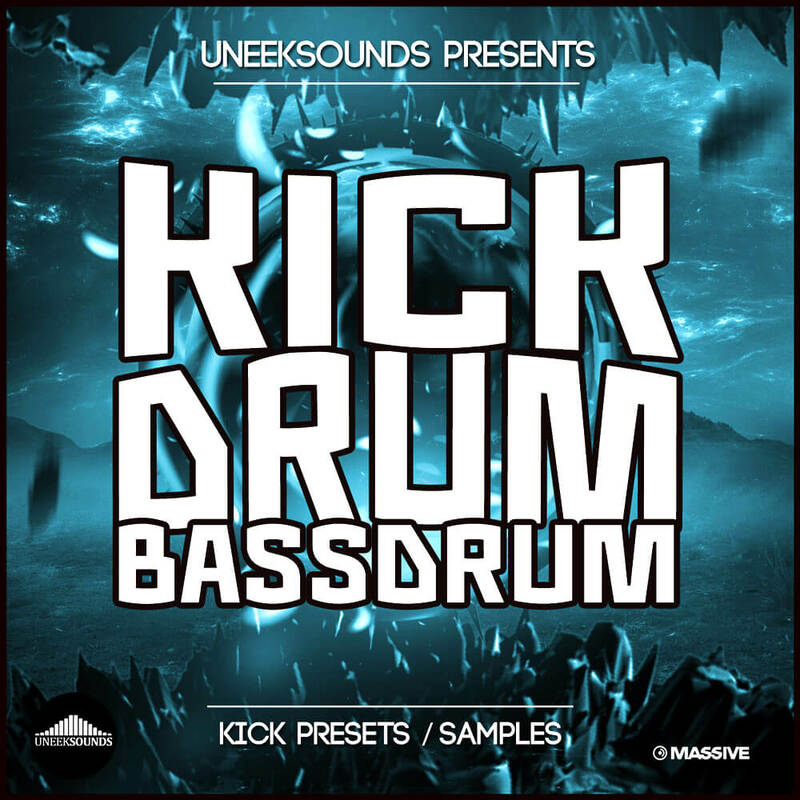 Massive kick presets all completely different and macro mapped for easy tuning & toning, this pack contains some of the most sought after bass drums. No matter if it’s Trap, Electro, House, Dubstep, Hip Hop, Big Room or any other modern Urban/Dance music related style, when it comes down to the basement and punch of a track, the most important element is the bass drum. All kick drums in this pack are labeled and ready to drop into your favorite sampler (software or *hardware). Some of them are also treated with hardware saturation, EQ to assure they’ll have the biggest impact and punch to drive and mix well with your next club slammer or dirty hip hop smasher.